Fill in your details below and we will let you know within 24 hours if we can get Ticket to Ride: Rails and Sails to you with haste! 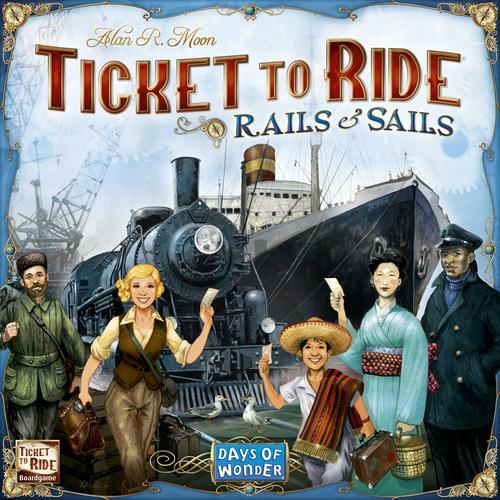 Ticket to Ride Rails & Sails is the new installment in this best-selling train adventure series. Players collect cards of various types (trains and ships) that enable them to claim railway and sea routes on a nicely illustrated double-sided board, featuring the world map on one side and the great lakes of North America on the other. Elegantly simple and fast to learn, it takes the Ticket to Ride series to the next level! Veteran railroaders as well as family and friends will be delighted to set sail to the new horizons of Ticket to Ride.